As the title implies, this work is much more than just a duet. Each instrument plays an integral role in the flow of this exciting and tuneful piece. Composed in a broad fast-slow-fast format, the primary melody is centered around the key of A minor and includes several meter changes and forays into chromaticism. The slower middle section moves in a beautiful and reflective C Major tonality before progressing into a series of recapitulated themes including modulation. Consistent changing between 4-mallet and 2-mallet technique is also required of the marimbist. 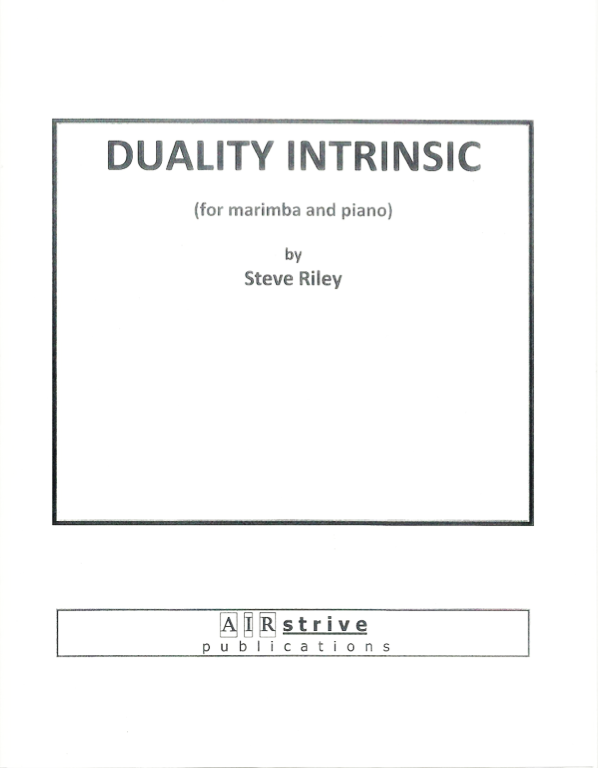 Duality Intrinsic would make an excellent joint or single recital selection for a marimbist or pianist. 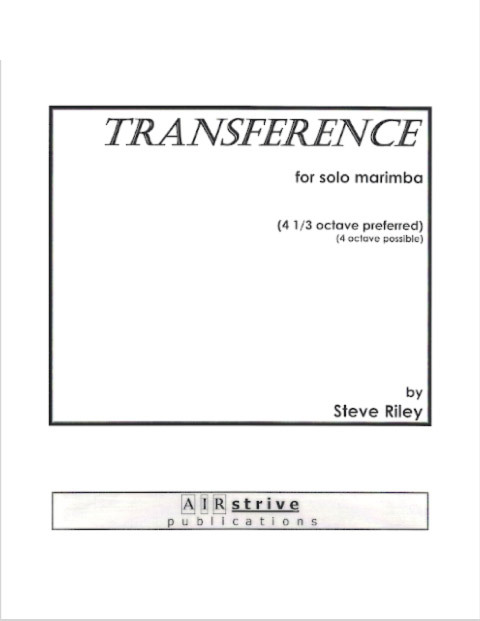 This composition was originally written for percussionist Steve Barnhart, Professor of Percussion, University of Wyoming for his DMA recital at The University of Kansas. It is scored for piano, a brass trio, (trumpet, horn, trombone) and one percussionist utilizing a large battery of instruments including vibraphone, log drum, assorted gongs, concert toms, small bass drum, cymbals and other small percussion instruments. This piece functions as a true “quintet” with important roles to each instrumentalist including a percussion cadenza, an opening brass chorale, and soloistic piano sections, thus making for a challenging work for all 5 players. The title refers to the exploration towards the concept of “five”: 5 players, 5-bar melodic motif, 5/8 piano ostinato and 5-note phrases. The composition ranges from slow moving lines to agitated sixteenths; from dissonant to lyrical passages; and from dense to sparse texture. The percussion part requires a well-rounded performer adept in 4-mallet skill on both vibraphone and a multiple instrument setup. 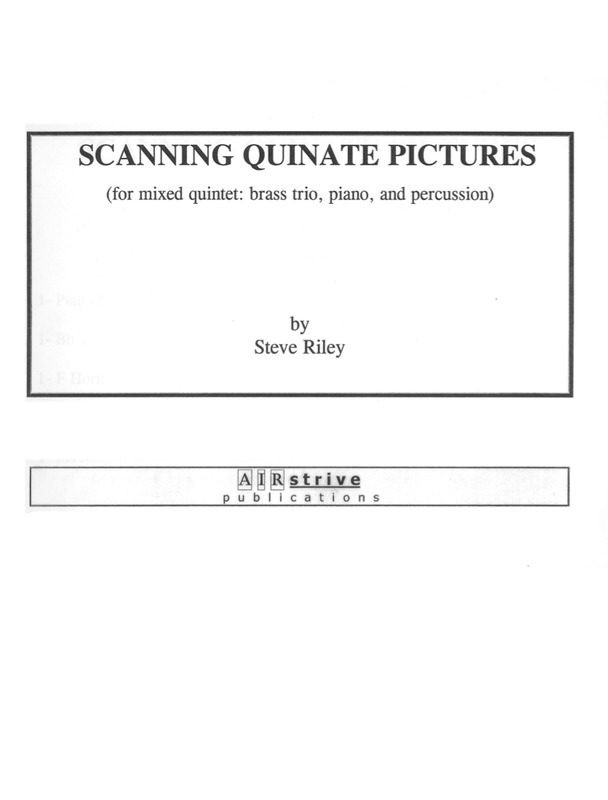 Scanning Quinate Pictures is a work that helps serve the niche of continuing need for repertoire in the area of percussion soloist with mixed ensemble.